The Pompidou Center, a five-minute walk from the George Pompidou National Centre for Arts and Culture, has two high-end models on sale, as well as peripheral electronics such as portable speakers and balancing cars. Millet's layout in the European market began last year. The first millet store in Europe opened in Spain. Today, Paris and Milan have also been added. Wang Xiang, Xiaomi’s senior vice president in charge of the globalization strategy, said that Xiaomi also plans to build millet stores in the UK, Germany, and the Netherlands. Wang Xiang said: "We have seen a big opportunity." He explained that the competition in the European smartphone market is "not very fierce." For the U.S. market, Wang Xiang said that the future will be laid out, but it is not anxious now. He said: "We must first achieve success in one area and then expand to other markets." According to market research firm IDC, Xiaomi has achieved good sales in Europe. In the first quarter of this year, Xiaomi’s mobile phone shipments in Western Europe were 621,000 units, making it the sixth-largest mobile phone brand in Western Europe. Among them, the market share in Greece reached 24%, surpassing Apple and Samsung, ranking first in the local market; Xiaomi's market share in Spain was 12%, ranking fourth. Wang Xiang said that in addition to opening stores to enhance Xiaomi's brand awareness, Xiaomi also cooperates with four major telecom operators, including Orange SA, to sell mobile phones. A few weeks ago, Hong Kong's CK Hutchison Group said it would sell millet phones in offline stores in seven European countries. According to data from market research firm Canalys, millet's low-end red rice series accounted for 92% of its total mobile phone sales. However, the company is attracting more high-end consumers through high-end models such as Mix 2s. The model is priced at 500 euros (483 US dollars) in Paris, France, and its rival Apple’siPhoneThe price of the X is as high as 1159 euros. According to IDC's data, Xiaomi, founded by Lei Jun in 2010, has now become the world’s fourth-largest smartphone manufacturer, ranking behind Samsung, Apple, and Huawei. Xiaomi’s performance in the Indian market has become the best smartphone brand in the Indian market last year. Xiaomi is more dependent on social media and word-of-mouth marketing strategies. Xiaomi uses less advertising than other mobile phone brands. This strategy is very useful in China because China has a loyal fan of millet, and Lei Jun himself has become a celebrity. After the release of its product, the buying situation is no less than Apple. Wang Xiang admitted that it may not be feasible to move the marketing plan to the European market because of the lack of Lei Jun’s personal influence in the European region. However, the company still publishes photographs of French millet stores in Paris on social media. The photographs show that there are still a large crowd outside the store. For the brand image, Wang Xiang said: "For consumers who do not understand the millet brand, there is a concept that low prices mean low quality." To change this point of view, he believes that "it takes time". In order to hide 10% tariffs, millet makes mobile phone parts in India. 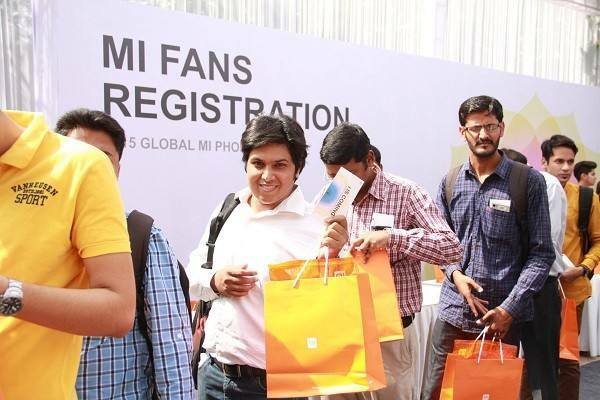 Xiaomi: India stores will cover half of the 100 cities under the online and offline sales. Millet overseas business rush to fight Western Europe with HUAWEI?